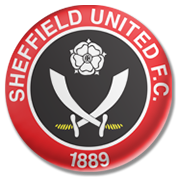 Queens Park Rangers will be aiming to build on a 2-1 win over Wolverhampton when they face yet another contenders for automatic promotion Sheffield United at their Loftus Road Stadium. The Hoops proved their worth in the 2-1 win over second-placed Wolves and they now aim to claim yet another major scalp in the Championship. QPR have been producing fine performances at home ground this season and we predict that they are going to grab something from Tuesday’s football match against Sheffield United. The Blades, on the other hand, have been playing above expectations in the 2017/2018 season and they sit in top position in the standings ahead of the trip to London. The Bramall Lane outfit are determined to return to the Premier League, but seeing that QPR are tough to beat at home, there is every chance the two teams will share the spoils at Loftus Road on Matchday 15.